Vox’s Communications Manager is a reporting tool that gives you greater insights into your office’s telephonic communication habits. Make informed decisions about expense management, departmental KPIs, and time management. Monitor productivity with greater insights like making sure your sales and debtor’s teams are reaching their core KPIs. Set department budgets for phone calls and be alerted when these limits have been reached – giving you control over telephony spend. Stay current –Vox’s Communication Manager is cloud-based, making it compatible with modern technology. Any business with Call Centres, IT support desks, Sales, Finance, Operational and Legal teams need the telephony reporting the Communications Manager provides. Our easy-to-use web-based dashboard puts mobile and fixed-line call spend control in your hands. When budget limits are reached, we’ll alert you via email or SMS. Communications Manager helps you track fixed-line, mobile, fax, data and print services from a single portal. 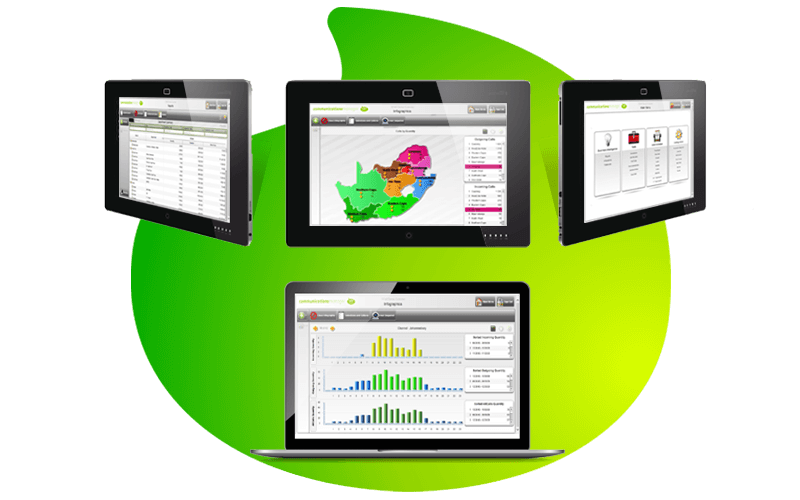 It matches and tracks individuals to their business units, making the reporting process seamless. Central reporting gives you one view of all branches and operations, at any time. TMS can schedule reports providing detailed summaries of activities, and red-flag any misuse. Use statistics in graphical format to help make decisions much quicker. You’ll also cut down on admin, freeing you up to get through your to-do list. Can Communications Manager block an extension once it has reached its budget limit? Our standard product is a hosted solution which does not have the capability of blocking an extension. To overcome this, we can deploy our TMS services on-site which will have additional cost implications and will mean that you are completely responsible for the solution. A minimum of 1000 extensions is needed to qualify for this option. Are my users able to mark which of their calls where for private vs business use? Yes, it is possible to mark private calls and business calls separately. Our TMS system is intelligent enough to ensure a user only has to mark a call once. Thereafter any time the same number is called, it will be automatically marked. Can I receive the same report every month without having to log in and draw it myself? Yes. You are able to schedule reports that can be e-mailed to you on your preferred date. Is there any on-site equipment installed? Only in some instances is a buffer installed onto the PBX, but where the PBX can send CDRs directly to our TMS platform via FTP, then a buffer will not be required. How do I access the TMS system? Our TMS is hosted in our cloud and can be accessed via the web. Do I have to be in the office to access my TMS reports? No. Because our TMS is hosted and can be accessed via the web, it is accessible from anywhere. Can I allow certain users within my organisation to have restricted view of the TMS data? Yes, we can set up users based on their access rights which will ensure they only see what the company allows them to see. How long are my TMS records saved for? We retain TMS records for a period of five years.